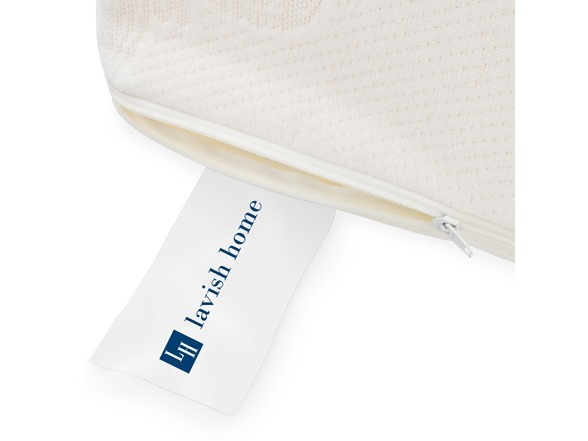 The Memory Foam Body Pillow by Lavish Home will give you all the comfort you need for a restful night’s sleep. 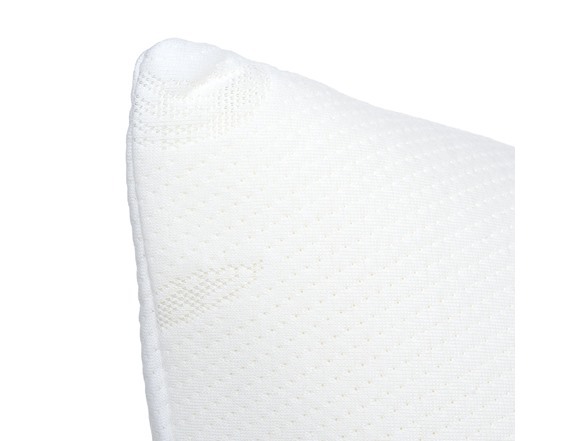 Our pillow is made from shredded memory foam, making it very breathable, while conforming to your shape and providing full support, allowing you a cool, comfortable night’s sleep. The Memory Foam Body Pillow by Lavish Home not only supports your neck and head, but the rest of your body as well. The removable cover allows for easy cleaning. Perfect for snuggling up with in bed or on the couch, and even great for expecting mothers! Care Instructions - Cover: Machine Wash Separately in Cold Water with Mild Detergent, Gentle Cycle, Do Not Use Bleach, Tumble Dry Low, Do Not Iron, Do Not Dry Clean. Care Instructions - Polyurethane Foam: Spot Clean Only with Mild Soap, Rinse, Gently Squeeze Out Water, Allow to Completely Air Dry Away from Direct Sunlight and Heat. REST COMFORTABLY AT NIGHT – The Memory Foam Body Pillow by Lavish Home is made from shredded memory foam so it won’t go flat and provides complete comfort while you sleep. 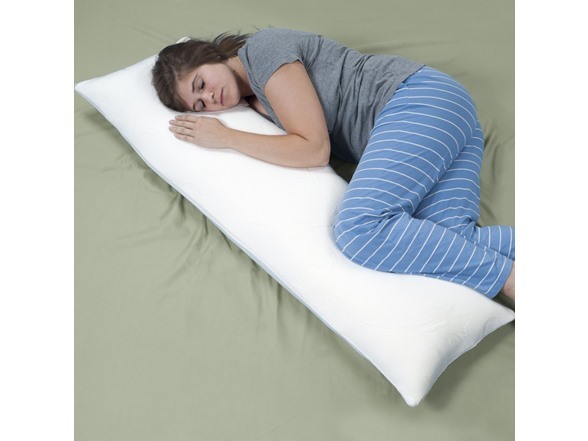 This pillow shapes to your body making it easy and effortless to find that comfortable position at night. The shredded memory foam material allows for the pillow to stay cool all night. Perfect for snuggling up with in bed or on the couch, and even works great as a pregnancy pillow! FULL BODY RELIEF – Our 50” pillow is long enough to ensure full body support and pain relief to all major areas of the body including lower back, shoulders, head, neck, hips, knee, and feet. 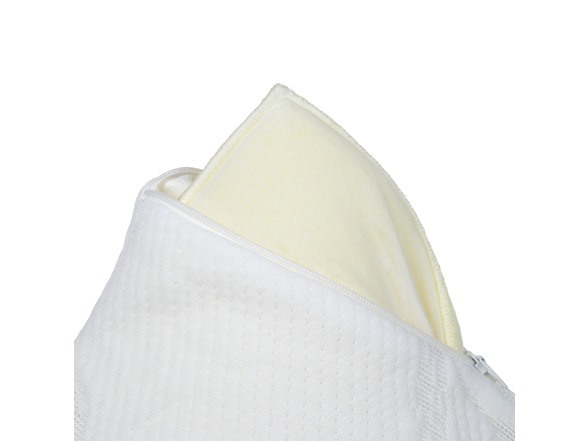 This ultra-plush soft yet firm pressure relieving pillow also improves body alignment. HYPOALLERGENIC AND EASY CLEAN COVER – Pillow comes with a completely removable hypoallergenic pillowcase, helping allergy suffers rest easy. Simply just wash pillow cover in cold water with mild detergent for simple as easy care.